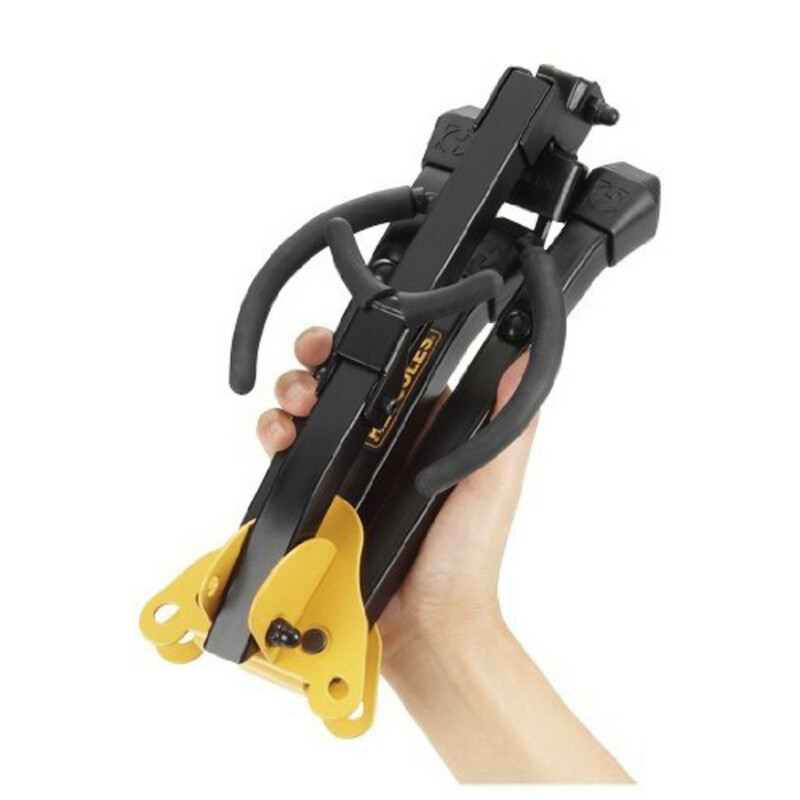 The Folding Yoke holds your Alto/Tenor saxophone securely on the stand. The weight of the instrument activates the grab system, securing the sax in place. This means you’re always sure that once your saxophone is on the stand, it’s locked in. 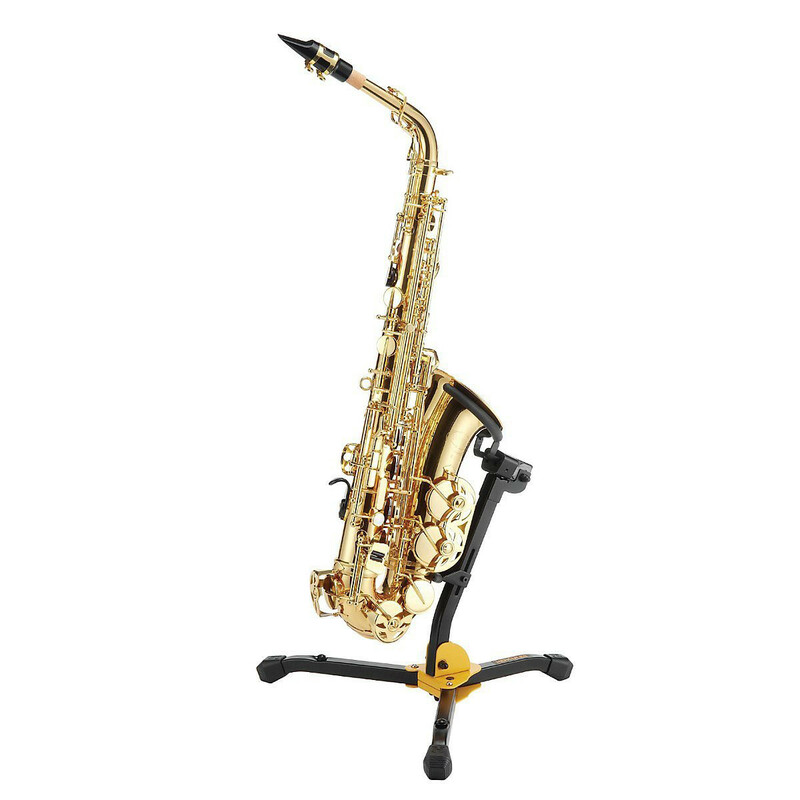 The adjustable backrest accommodates both Alto and Tenor saxophone sizes, so it’s accessible to more instruments. This is a useful feature if you have multiple saxophones, use it for classes, or take multiple saxophones to gigs. The Folding Yoke features a peg hole on the leg, which lets you store another instrument without using extra floor space; very beneficial if you play as part of an orchestra. 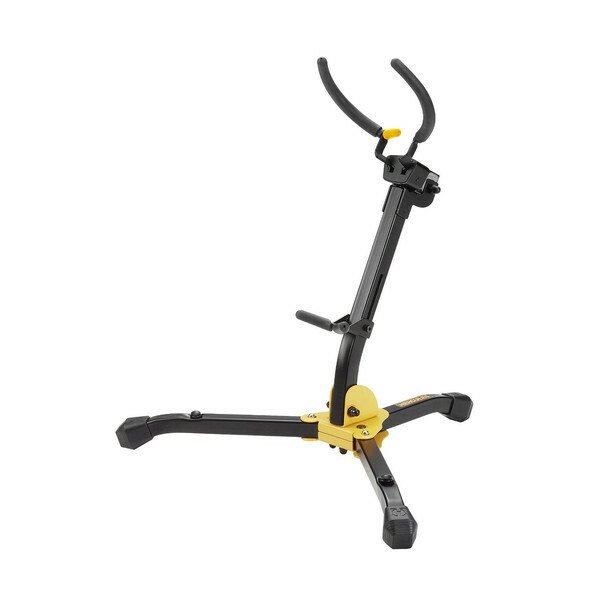 It comes with a durable carry bag for extra protection and convenience.